Shop Chrome Postcard. 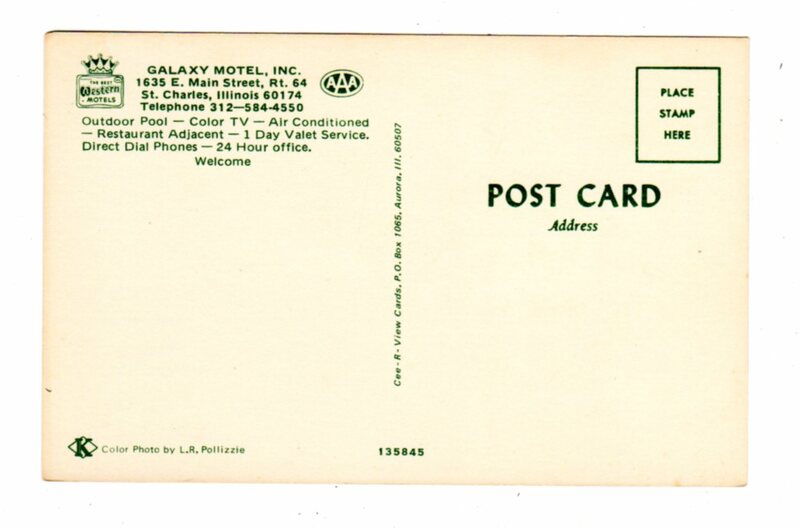 Galaxy Motel, St Charles, Illinois. 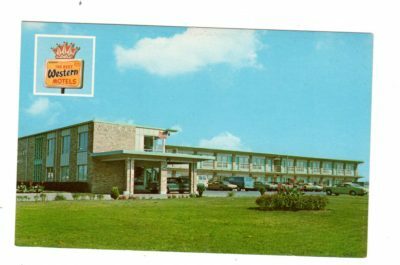 Best Western. Chrome Postcard. 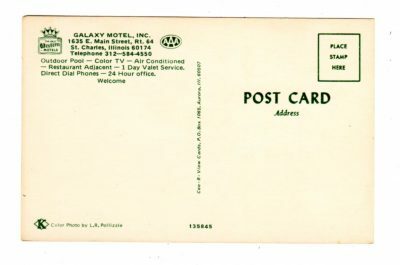 Galaxy Motel, St Charles, Illinois. Best Western. Publisher: Cee-R-View Cards, Aurora, IL. Photo by L R Pollizzie.